As we all know that children grow seven sizes in their first two years on earth and this leads to a lot of wasted clothing. 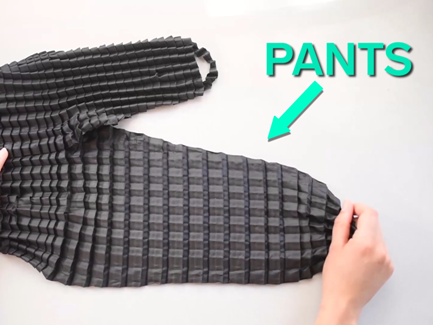 Now a range of kids clothing named Petiit Pli has been created by the Royal College of Art graduate Ryan Yasin with a pleat system which lets garments stretch in order to fit even after growth spurts. It contains the variety of waterproof shells which are creased in such a way that they have the ability to grow bi-directionally to well fit a large range of sizes. His clothes are designed in order to custom fit from 6 to 36 months which is the 6 different sizes. This technology has used technical materials which are ultra-lightweight; windsurf as well as waterproof and breathable. These clothes are comfy and functional along with they can adapt to the children’s movements. In addition to this, they are easy to pack up and clean. In the initial stage, the pleated shirts and pants are small enough in order to fit a 6 months old child but as soon as kids get bigger, the material can be unfolded. It is ultimately expanding to the size of a wearer who is 2 and a half year or 3 years old. The Petit Pli garments can grow up to 7 sizes which equates to 7 time less than traditional garments. These garments have been designed in order to be versatile on and off the body. It can be washed through machines.